WHY DIDN’T IT BLOW UP? 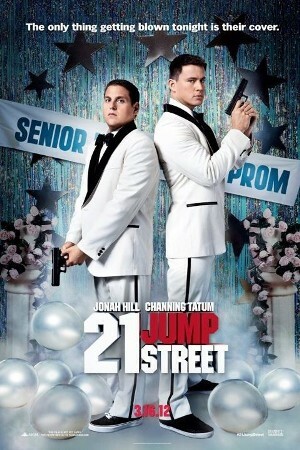 This has got to be one of the funniest films this year! Based on the TV series that made Johnny Depp, Channing Tatum and Jonah Hill star as two cops who go undercover in a high school to stop a new but fatal synthetic drug. Here they are, young cops looking for car chases and explosions and all they’ve got to worry about are parties, being cool and whether they should be one-strapping or double-strapping their haversacks. One of the highlights was when Schmidt and Jenko took the drugs and were high as hell. What follows was really crazy, like Channing Tatum clashing into the gongs. The other highlight has to be the Prom and look out for a cameo by Johnny Depp – or if you were well-trained to his cheekbones, you’d have spotted him way before the others. 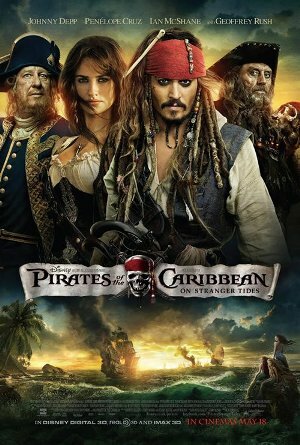 In this fourth instalment of the Pirates of the Caribbean series, Jack Sparrow is back and this time, he’s searching for the Fountain of Youth. He’s onboard Blackbeard’s ship, Queen Anne’s Revenge, with his former lover and Blackbeard’s long-lost daughter, Angelica (Penelope Cruz). 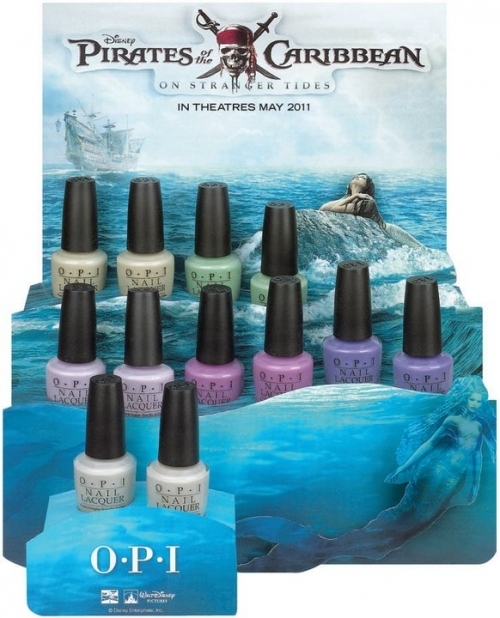 However, they are not alone – Captain Barbossa (Geoffrey Rush) and the Spaniards are also after the elusive fountain. Jack Sparrow: You know that feeling you get when you’re standing in a high place… sudden urge to jump?… I don’t have it. Well, the POTC series does feel different without Orlando Bloom and Keira Knightley but I guess I’m pretty satisfied as long as Johnny Depp’s in it! And I liked that he said “Savvy?”! There’s plenty of action, fighting and romance! I didn’t really like the “stirrings” between Jack Sparrow and Angelica but I dig the one between Philip and Syrena! I think Philip is the fittest missionary around – Hello, HE HAS ABS! The mermaids were nothing like Ariel but more like Jaws so do not be deceived! The action and fighting is good but not as thrilling as those in the previous films. And I spotted another handsome guy – the Spaniard is played by Oscar Jaenada, who was the sniper in The Losers! Stay till the end of the credits for an extra scene! Rango tells the tale of a chameleon who gets stranded in the Nevada desert and winds up at Dirt, a town populated by desert animals and plagued by water shortage. He creates a brand new personality that is tough, fearless and full of bravado. When he accidentally kills the hawk that has been terrorizing the townsfolk, he becomes a symbol of hope and is appointed the new sheriff. 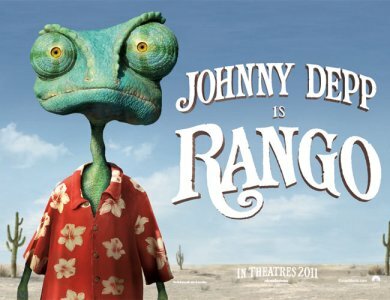 Rango does his best to protect the townsfolk and in the process, becomes the hero he always wanted to be. The movie really caught me unexpected, in a good way. 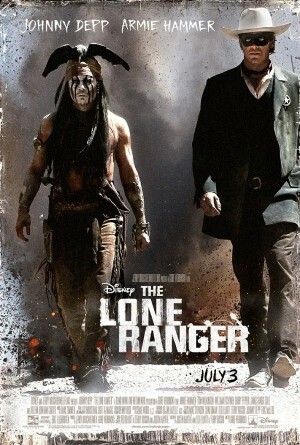 Basically, the story’s about Rango trying to find his identity and the process is hilarious and a little sad at times but coupled with the fact that it’s also a Western… needless to say, I enjoyed it thoroughly. The owl mariachi band provides witty and funny songs/commentary throughout the film and they are constantly pessimistic about the fate of Rango. Rattlesnake Jake (Bill Nighy – perfect evil, creepy voice) sends shivers down my spine and you wouldn’t want to drink from his shotglass. I can totally imagine Johnny Depp doing this in real life. Plus, the film was acted out while the actors recorded their voices, so the characters have human-like expressions. 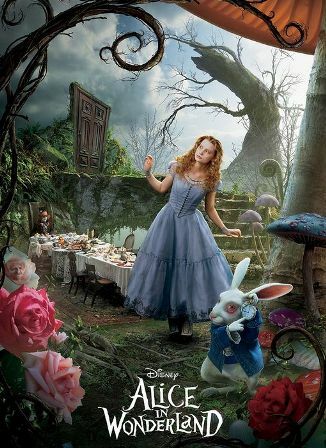 That includes Johnny Depp’s always-quirky performance, full of his signature charm and swagger. Must watch! In The Tourist, Angelina Jolie plays Elise Ward, a woman being trailed by the police because of her involvement with Alexander Pearce, who is wanted for tax evasion. Elise meets Frank (Johnny Depp) on the train and leads the police to believe that it is Pearce’s new identity. Frank’s trip to Europe becomes much more dangerous than expected when both sides of the law are after him, believing him to be Alexander Pearce. The first thing that catches your eye (mine, at least) is how ravishing Angelina Jolie looks! She looks really refined and pretty. Her dresses and gowns are really classy, not too revealing, but accentuates her figure and looong legs. Johnny Depp looks normal – quite a rare thing to say considering the roles he took – except I could sense a tinge of Jack Sparrow in him when he was on the rooftop. One of the interesting gadgets was the electronic cigarette Depp was smoking and the device which enabled the Italian policeman to “flush” his cigarette from his table! The ending was kind of unexpected though I felt it was dragged on for a little too long that I didn’t feel as surprised as I should be when it was revealed. Italian Policeman: You wish to report a murder. Italian Policeman: That’s not so serious. Frank Taylor: Not when you downgrade it from murder. But when you when you upgrade it from room service, it’s quite serious. 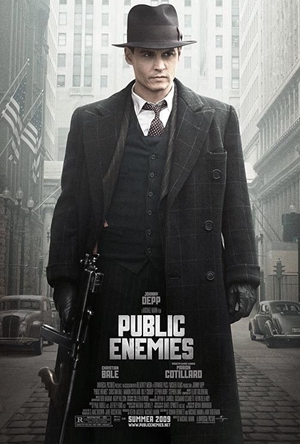 Based on a true story, Public Enemies tells the story of how FBI agent Melvin Purvis tries to stop bank robbers, John Dillinger, Alvin Karpis and Baby Face Nelson, in the 1930s. Each time Dillinger steps out to rob banks in “one minute and forty seconds… flat”, I’m amazed. They even planned their escape so well, with civilians acting as their shields till they are a safe distance away from the police. Dillinger even has his own version of “prison break”, which is pretty smart too! But alas, Purvis’ and Dillinger’s fates are rather pitiful. Due to his recklessness and eagerness to capture Dillinger, Purvis caused the deaths of many of his colleagues and eventually committed suicide a year after Dillinger was shot. One thing though, Johnny Depp is really charismatic as John Dillinger. You’ll find yourself rooting for him!